Before I reveal the winner of the EduHack Peoples Choice award, I’ll give some context incase you’re just hearing about EduHack for the first time now. 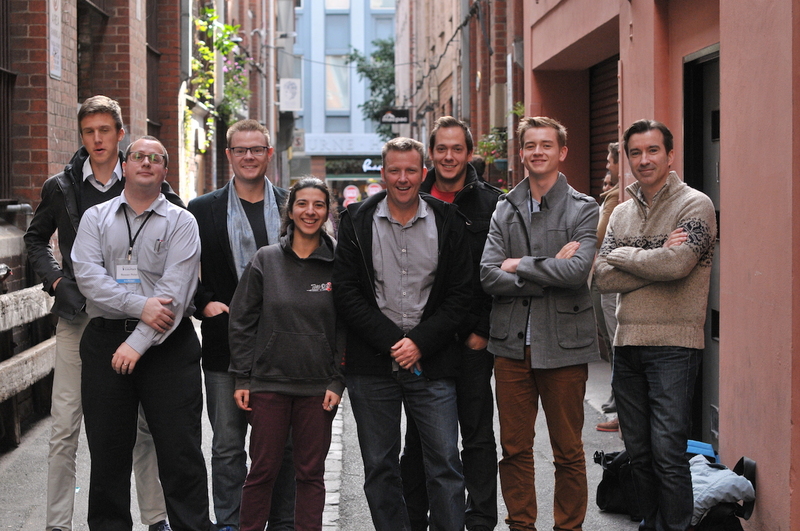 Eduhack was Australia’s first educational hackathon that we hosted this month in Melbourne. The idea was to bring students, educators, entrepreneurs, designers and engineers together to share ideas, form teams, design digital products and rapidly co-create innovative solutions that tackle real education challenges over one jam packed weekend. To hear how it all unfolded blow by blow, check out our earlier post. The great thing about Eduhack is that after the weekend, the ideas don’t end, and we wanted to encourage that with a People’s Choice that ran for another week on Twitter. Teams spread the word about their innovative idea and got followers to vote online. Congratulations to the winner of EduHack’s People Choice: Tock, giving students the ability to take ownership of their own timetable. Tock makes personalising timetables for students and teachers easy. Team Tock took home a cash prize and mentoring supported from myEd and CNPE.